Disclosure: This is a sponsored post in partnership with Fandango Family. I was compensated but all opinions are my own. 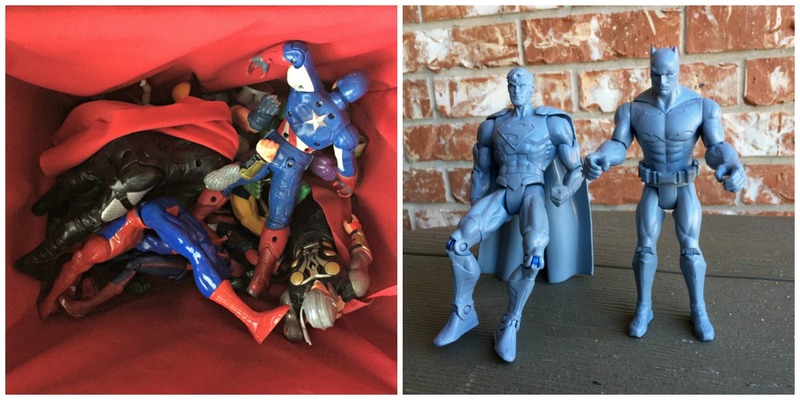 If you are a parent, chances are you have a box or two of old action figures. They might be broken or long forgotten, but some might be able to be upcycled to make something brand new that your kids will love. This will work especially well if you have old Superman and Batman figures lying around because, with just a little paint and glue, you can make a custom 3D picture frame for the new Batman v. Superman blockbuster coming out. The toy aisles are already full of merchandise but you can make your little fan something none of their friends have. Once you have made this upcycled superhero frame, make sure and experience the movie using Fandango to make sure you get your tickets! 1. First, dig through your kids' old basket of action figures and pick out one Superman and one Batman figure. It's ok if they are scratched up, as long as they aren't broken beyond repair. Glue any limbs back on and spray with primer. Using primer will help the spray paint better stick to the plastic. Let them dry. 2. Spray Batman black and Superman blue. The paint will cover up most scratches and dings. Make sure and spray figures from many different angles to completely cover them. 3. Remove glass and back from used picture frame. 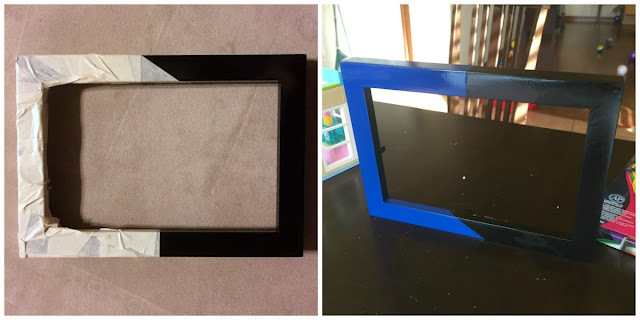 Spray paint picture frame black. Let dry. Tape the right half of the frame and spray the right side blue. Let dry. 4. 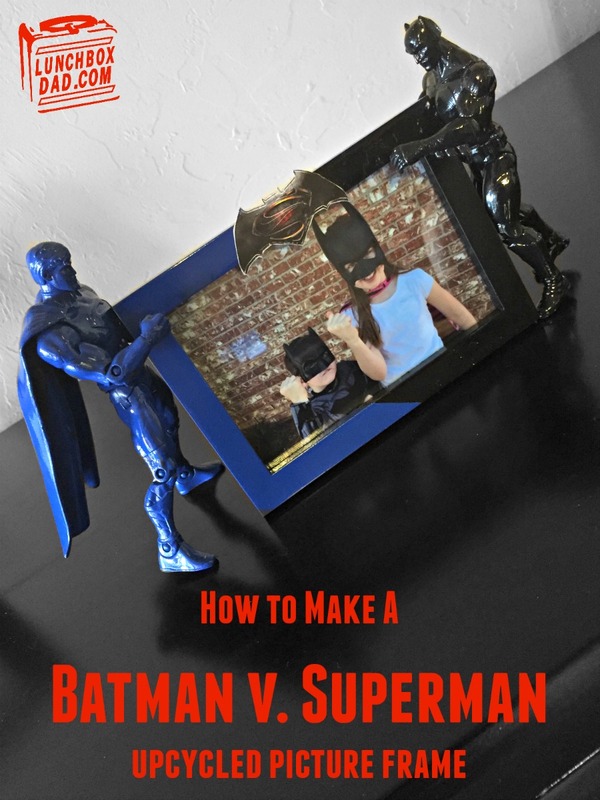 Position Superman in desired position and glue to blue side of frame. You can use super glue or a hot glue gun. Repeat with Batman. Let dry completely. 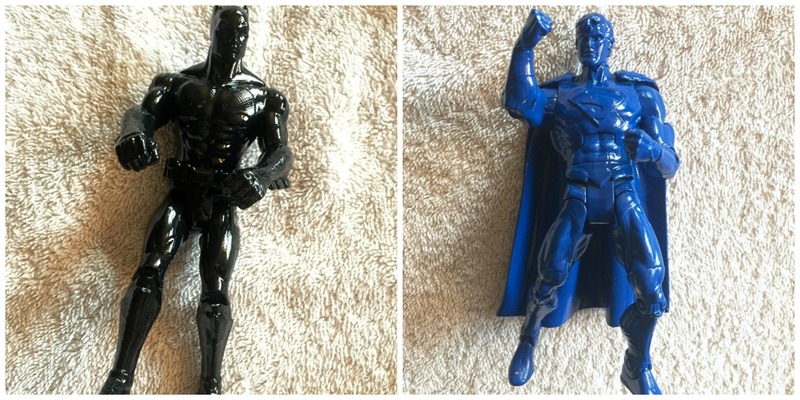 This gives the frame a 3D appearance because these action figure superheroes add depth to the flat frame. 5. 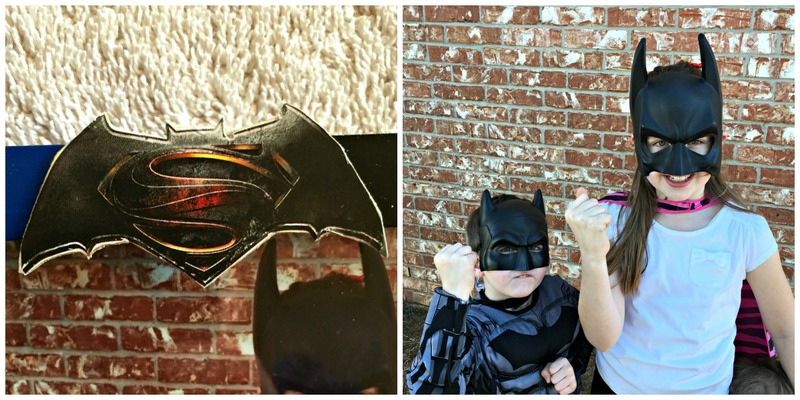 Search online for the Batman vs. Superman movie logo. Print out a small version of it and glue to the middle top of the frame. 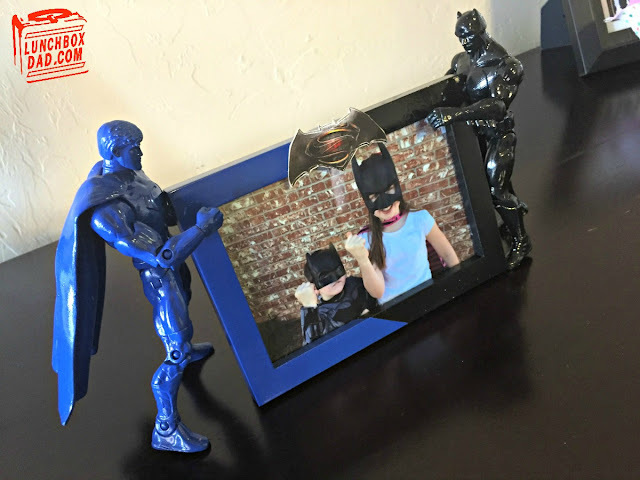 Insert a picture of your kids dressed up as one of the superheroes and set it up in your kid's room! This will be a movie to remember so make sure and grab your tickets from Fandango, some popcorn, and have a fun night. Just make this frame first so you can keep your family's memories from the movie in there!